Branded web tools (formerly known as HealCode) give your customers a seamless online booking experience from start to finish. From Facebook to your website, integrate your MINDBODY schedule and give it a look and feel that’s uniquely yours. Not sure yet how this will impact existing Healcode customers (the Press Release doesn’t seem to say?) or how the interface will work for new customers? I’ve emailed them, and will certainly keep you posted. Read about Web Tools here or see the Press Release here. 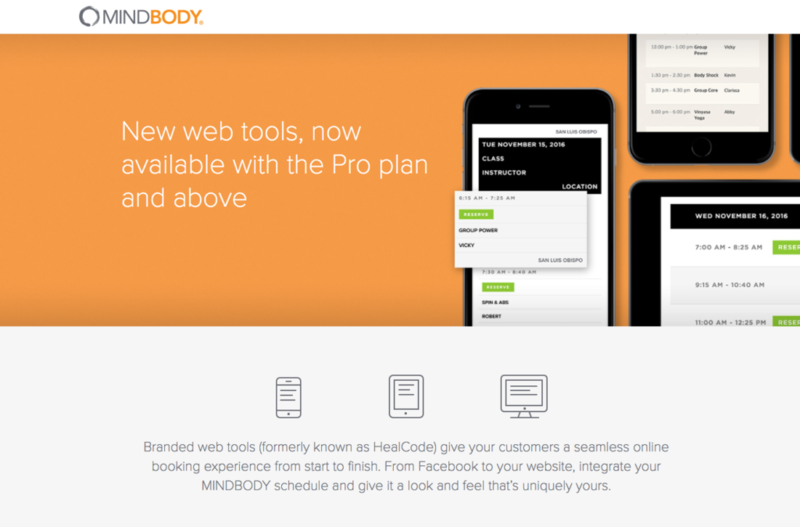 No idea what MINDBODY or Healcode are? Click here to find out more, including how I can help integrate these services into your website.